Human Resources welcomes you to the Student Employment Resource page, a comprehensive page designed to assist you in your role supervising student workers. From hiring student employees, to supervising one or more students, focusing on student success is integral to UMKC’s success. Students at UMKC not only learn in the courses they take, but also in the extra experiences they have during their time here. As a result, being a supervisor of student employees comes with added expectations to support the student learning experience. Creating a well-rounded student employee program is key to giving students the experience of having a position and comfort in knowing they are supported during their college learning experience. As the supervisor, you will be responsible for giving students expectations on what needs to be done within their role in your department. You will be responsible for holding the students accountable and for correcting students behavior when expectations are not being met. As a result of the long-term relationship several students have with their supervisor, students often view their supervisors as mentors and ask for guidance in areas outside of the workplace. 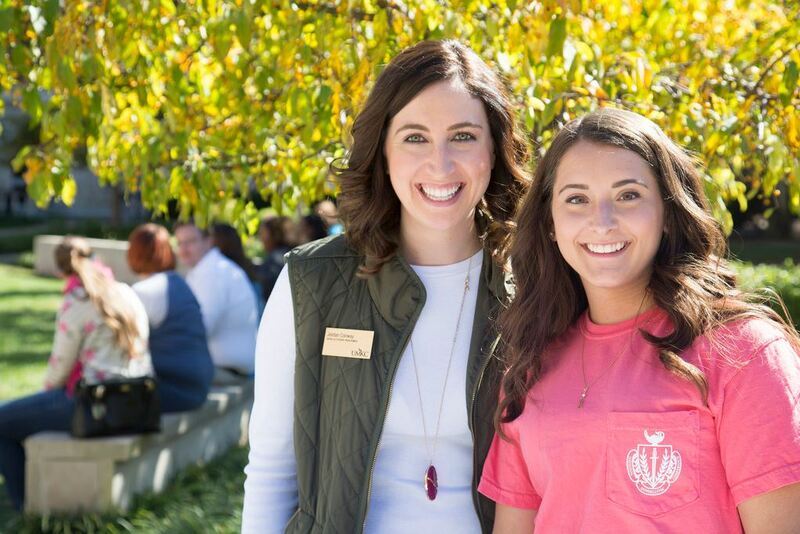 The supervisor can be a key figure in the student’s experience at UMKC and may even contribute to the retention of students for the university. The resources provided will help supervisors accomplish working with students more effectively. Determining where to draw the line on your relationship with student employees can prove to be a very difficult task when it comes to management. As a supervisor, you want to be gracious enough that your student employees enjoy coming into work and engaging with others, but at the same time, maintaining clear employment roles. That is why establishing boundaries early on in relationships with student employees is so important. Being too lenient, or generous, and failing to set standards for student employees can encourage tardiness, unexcused absences, laziness, or a decline in their productivity or performance. However, being too strict and stern could cause your student employees to feel insecure and uninterested about their work. So where is the line between being personal and professional drawn? Many UMKC students receive financial work study every year. The Financial Work Study (FWS) program is funded through Federal Title IV resources and subject to Department of Education federal regulations, as well as employment laws on the federal, state and local levels. The program is administered by the Financial Aid and Scholarships Office (FASO). UMKC is allocated funding each year by the Department of Education and is required to match 25% of the funded amount. Funding is limited and varies from year to year. The intent of the program is to provide jobs for undergraduate and graduate students who have financial need as determined by the Free Application for Federal Student Aid (FAFSA). It allows a student to earn money to help pay education expenses. The program encourages students to find work related to their course of study and it also provides opportunities for community service work. Departments also have the option to hire students who do not receive federal work-study awards. These positions are not capped by any overall allocation in comparison to work-study student employees. However, these students are paid and funded directly by the department. When the department is ready to fill an open student position, supervisors must post descriptions of their allocated Work-Study positions via the web-based Financial Aid Work-Study Management System. This program allows supervisors to post descriptions of an available position, manage the hiring process, and monitor student earnings. Supervisors must contact the Work-Study Coordinator in the Financial Aid and Scholarships Office to receive access to the site and instructions for use. If the position is a non Work-Study position, supervisors will utilize Handshake to post the open position. Students will utilize Handshake on the Career Services website http://career.umkc.edu/ to look for a student job. However, Handshake is not set up as a recruiting tool. We do not encourage departments to search for recruits on this site. When you receive emails, be sure to reply to the candidate so that they may confirm you have received their materials. Allow a week or two to collect several different candidates and review their resumes. Begin thinking about who you would like to bring into the office for an interview. If the position is funded by the Work-Study Program, the employer/supervisor must verify that the student has a work-study award for the appropriate term (academic year or summer) before setting up an interview with a prospective student. New student employees as well as rehires must have awards for the appropriate term. Supervisors can check on the student’s status on the Work-Study Management System website at https://www.sfa.umkc.edu/wsmanager/login.cfm. Contact the students you would like to interview for the open position to schedule an interview. Be sure to provide the address and location of the office where you will be conducting interviews. Schedule a time slot that is open and that works best for the candidate. Allow 30 minutes for the interview process. Once the interview is scheduled, send the candidate an interview confirmation email to remind them of the time and place of the interview. Also, be sure to attach a work-study employment application to the email and request the fill it out and bring to them to the interview. Interview each applicant for the job in a similar fashion. All questions should be job related and should adhere to federal, state and local laws. Once you have concluded all interviews, carefully compare all interview notes and resumes and make a decision regarding whom to hire. A student may not begin work until the hiring process has been completed, the student’s eligibility for work-study has been confirmed, and the first day of class has begun. When you have chosen who you would like to hire, call the candidate and extend a verbal job offer. Be sure to know what their starting pay will be ($10.50/hour max) prior to extending the job offer. For more information about what to pay work-study students, reference the UMKC Federal Work-Study Handbook. If your offer is accepted, follow up with the work-study soon after with an employment acceptance letter that includes their job title, rate of pay, semester that will be worked, and start date and time. You may also include their agreed upon work schedule (if discussed) and any other reminders or expectations. Once you have made the offer and the offer has been accepted by the Student Employee Candidate, it is important to update the other candidates who applied for the open position. Update the other candidates, thanking them for their time and interest and let them know the position has been filled. The required paperwork and instructions to hire a student can be located on the HR website under Forms: http://info.umkc.edu/hr/hr-service-center/forms/. I-9 Employment Eligibility Verification (photocopies of documents (drivers’ license, social security card, etc. ), are required by Human Resources-UMKC is an E-Verify institution. Your local payroll person will be able to use the system to verify employment eligibility. Paperwork for new hires should be submitted to the department Human Resources Facilitator. Except for a new ePAF and FICA checklist, new paperwork will not have to be completed if the student has changed departments. Students who previously received work-study funding are not guaranteed that they will automatically receive work-study funding each year. Students must apply each year. Work-Study awards are offered to students with the earliest applications on file, financial need, and as long as there is funding available. Supervisors should explain to new work-study students all expectations of the office. Office policies including where and when to report to work, any dress code requirements, how and who to notify in case of absence and any other necessary information. Introduce the student(s) to other staff in the office as well. Tell the students where restrooms are, when and if they can take a break, and any working conditions they should be aware of. It is recommended that each work-study student hired sign a confidentiality agreement. If your department deals directly with confidential information, it is suggested that you also adopt a similar agreement for your student(s) to sign. It is also recommended that each supervisor and each student employee read and sign the Work-Study Rights and Responsibilities Agreement. This Agreement outlines basic expectations for both the employee and the supervisor. Jointly signing this Agreement helps to begin the employment relationship with a unified understanding of each other’s obligations in the work place. The department may want to cover additional employee guidelines that are specific to the job or department. Student employees are responsible to their department supervisor, and must abide by all departmental regulations regarding work assignments. Student employees must maintain complete confidentiality concerning information related to their job and the office in which they work and satisfactorily perform whatever duties are assigned. Remember that although this is a part-time job, the expectations are the same as a full-time job and students will be held accountable to university guidelines and applicable policies. Each semester, supervisors and students should cooperate and make every effort to arrange working hours in view of the student’s class schedules. However, student employee’s work schedules may include exam week. Once a schedule is established, the student is responsible for working those hours. Student employees may not change work schedules without the approval of their supervisor. Students may not exceed their award limit for the period, usually work approximately 15 hours per week, and may not work more than 8 hours per day or 29 hours per week. The Work-Study Program was established to provide part-time work to students. Therefore, a student working 40 hours per week is not using the program as it was intended. A fifteen minute break must be taken if a student works four or more consecutive hours in one day. If a student is working an 8 hour day they should be allowed a half-hour lunch break which they must clock-out. Working during scheduled class time is prohibited. For work-study students, a compliance report will be run monthly and a sampling of students will be extracted to have their class schedules compared with their timesheets. If there are any overlaps or discrepancies in working hours with class schedules the student and supervisor will be notified and a written statement must be submitted to the Work-Study Coordinator. Student employees are required to work the hours they have agreed upon. Students should report to work on time and inform the supervisor whenever it is not possible to do so. Should illness prevent student employees from working, they are responsible for informing their supervisor as early as possible. For other absences, students must notify their supervisor in writing in advance. On approval of the supervisor, the work hours are rescheduled or adapted. Student employees will be trained as a professional and will be expected to conduct themselves in this manner. Every interaction a student employee of UMKC has should reflect the University’s commitment to customer service. Good customer service requires a positive attitude toward people. This includes being helpful, courteous and, as much as possible, leaving the customer feeling they have received satisfactory service and/or information. Providing a performance evaluation is a great benefit to students who are just beginning their work careers. It is recommended that student employees are given a written evaluation by their supervisor once a year or as needed. Creating expectations for students is a very important aspect of the student employee experience. Discussing their performance and expectations is something that will continue after they leave UMKC and continue into full-time positions. It’s important for students to have this experience in their positions here, to prepare them for their future. As their supervisor, one of the first things you should do is have a conversation with your new student employees regarding your expectations of them. Expectations should then be reviewed regularly at one-on-one meetings with your student employees. Expectations are important to provide a guide for student employees to know what they need to be doing from day to day. Having clear expectations is also helpful for managers when student employees are not meeting expectations. It provides support during the coaching or discipline process and can be used as a reference and guide for what behaviors and actions are expected of student employees. If there is something that a student employee is doing or not doing that is outside of the expectations set for them, the first step to correcting the behavior is coaching. Coaching consists of having an intentional conversation with the employee to point out what expectations are not being met and to reiterate the expectations for the employee. This is typically a private conversation with the supervisor and employee. During this conversation, it is important to make sure that the student employee is understanding the expectations. It is also important to ask what you, as a supervisor can do to help the student employee meet the expectation. Once the coaching moment is completed, it is recommended that the supervisor send a follow-up email to the student employee to reiterate the expectations. Being able to use praise effectively is one of the most important jobs of a supervisor as employee morale is a vital part of performance management and can make the biggest difference in your department. Sincere and honest recognition let’s employees know that you appreciate them and the work they do to keep the department running. The disciplinary process is unpleasant for everyone involved, however, following the tips below will guide you through the process and in the end the general hope is that the student employee learns from the process and is inspired to perform better in the future. Speak to them in private – Any discussions about performance or discipline should always be done in a private setting away from the rest of your employees. To accomplish this, you can schedule a meeting or you can approach them and state that you would like to meet with them in your office and meet right away. Sometimes scheduling a meeting can cause concern and stress, but sometimes, especially in departments where employees might not work at the same location, its best to schedule a meeting for the discussion. Depending on the department and the type of work being performed, determine what is best. Address the issue directly – when addressing the student, be straightforward and clear on what the problem is with their performance. Provide examples of behavior that you or another supervisor has observed. Allow time for conversation – provide the student with a chance to respond to the behavior that is being discussed to get their side of the story. This process should be treated as a dialog, so it’s important to engage them and get their input on the situation. Engaging the student in conversation makes them feel like they are a part of a discussion on the issue, rather than making them feel like they are being blamed for the situation. While the student is responding, listen actively and attentively. Respect their point of view of the situation. Review University policy and/or employee expectations – Before ending the conversation, make sure to review the policy that is being violated and/or the employee expectations that are not being met and what the expectation will be moving forward. Offer Guidance – Discuss ways to assist the student in meeting the expectations set forth during your conversation. Provide them with realistic solutions to help them meet the expectations. This is an opportunity to come to a solution that both you and the student agree on and that you can work on together. Having buy-in during this process is important, as they will be more likely to work hard for a solution they helped create. Reiterate the student’s importance – One of the most important aspects of the disciplinary conversation is to reiterate to the student that they are a valuable member of your team. Ask Human Resources – If you have any concerns or questions about having a disciplinary conversation with your student employee, consult Human Resources for guidance. We are an essential partner in performance management and can provide tips and advice on how to have the conversation with your student employee. The university is committed to providing equal opportunity to all qualified applicants and employees. To that end, UMKC will provide reasonable accommodations for the known disability of a qualified applicant or employee with a disability, unless the accommodation would impose an undue hardship. A reasonable accommodation is a modification or adjustment to a job, employment practice or the work environment that makes it possible for a qualified individual with a disability to enjoy an equal employment opportunity. If you would like to request an ADA accommodation, please complete the following form and submit it to Sybil Wyatt, ADA coordinator, at wyattsb@umkc.edu. An employee says he/she has been late for work because of their medical appointments. During a one-on-one meeting, an employee states that chronic back problems are preventing them from meeting deadlines. You receive a doctor’s note indicating that your employee needs to take lunch at 11:30am every day. These are all indications that an accommodation needs to be discussed for the employee. An accommodation will be made by a department if it can be done without creating undue hardships. Once a supervisor identifies the employees need for accommodations, please complete an ADA Accommodation Request form and submit to the Affirmative Action Office. The ADA Coordinator will review the request and work with the employee to see what accommodations can be made. This process often involves the supervisor, but only if the employee gives permission for the accommodation request to be shared with the supervisor. The Affirmative Action Office will work to provide reasonable accommodations where able and as long as it does not impose undue hardship to the department.